Wild advances in technology mean the recruitment industry is entering an exciting new age marked by automation and artificial intelligence; one where the legal and ethical lines of Talent functions are increasingly blurred. The legal and ethical dangers in utilising technology to source the ‘perfect’ candidate. Ultimately, we will ask you to decide: does the future belong to the AI-embracing recruiter? Liz is an experienced workplace relations lawyer practicing in employment, industrial relations, discrimination, OHS and workers compensation law. She frequently advises on the use of contingent labour and general workforce management issues. Liz is also experienced in representing clients in contentious matters such as underpayment, sham contracting, unfair dismissal and discrimination claims. A skilled commercial advisor, negotiator and litigator, Liz has a track record of obtaining successful outcomes for clients. Liz is an Executive Committee Member of the Law Institute of Victoria’s Workplace Relations Section, an Executive Committee Member and Chair of Events of the Hong Kong Australia Business Association (Vic) and an active member of the Victorian Women Lawyers Law Reform Committee, the Australian Human Resources Institute and Industrial Relations Society of Victoria. She holds a Bachelor of Law and Arts (Politics) from the University of Melbourne. In November 2015, Liz was named ‘Young Gun of the Year’ at the Australian Women in Law Awards in recognition of her professional achievements. 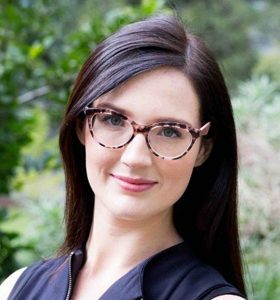 In 2018, she became the youngest person promoted to partnership within Australian firms participating in the Australian Financial Review annual legal partnership survey. Liz regularly comments in the media and presents at professional conferences.